Bill Kelliher’s guitar playing is rooted in metal, infused with rock 'n' roll, progressive rock and sprinkled with bits and pieces of thrash, punk, and psychedelic-ness. 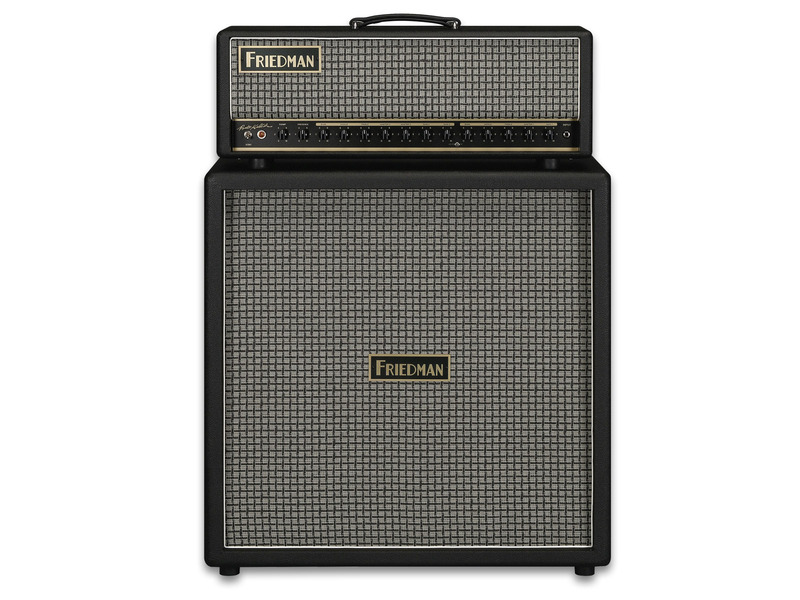 So, when it came time for Mastodon’s guitar player to design the ultimate amp to cover the complexity of his playing, Bill decided to team with long time friend and respected tone guru, Dave Friedman. 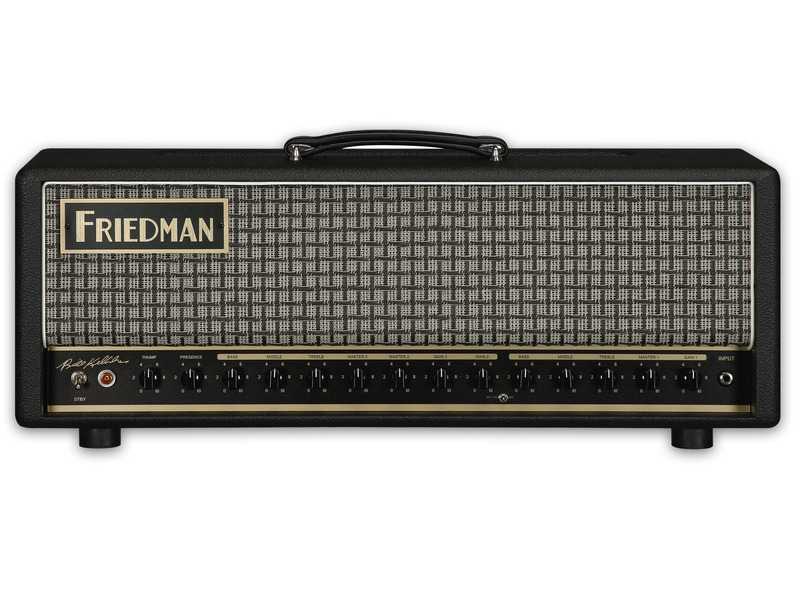 The result of this collaboration is the new Friedman Butterslax, a 100w, three channel beast powered by 4 x EL-34s with gain, more gain, extreme gain and some more gain to top it off. But “high-gain” is an over simplification of the Butterslax - what Dave andBill created is a super high gain, ultra tight amp that delivers deep, rich, low-end that will make your pants rattle. 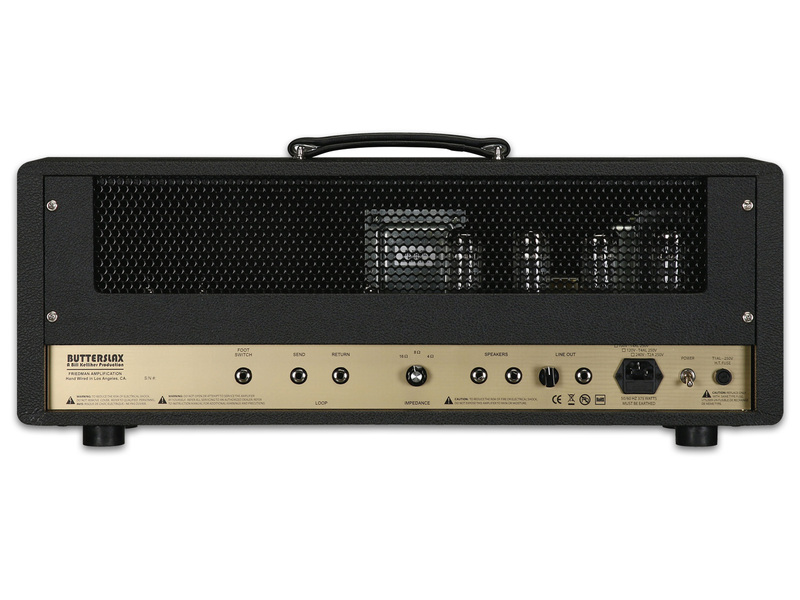 Yet, the Butterslax delivers detailed midrange and singing highs that capture every drop of each refined note. The Butterslax features three channels. Channel one with gain, master, bass, middle, and treble takes you from slightly overdrive tones to hard rock. Channel two, with the same controls takes you to where most “metal” amps leave off. The third, fire breathing channel, takes you 100 miles past the extreme, to gain heaven - or hell, deepening on your perspective. The Butterslax features an ultra transparent effects loop, Baltic Birch construction, black tolex and checkered grille cloth. 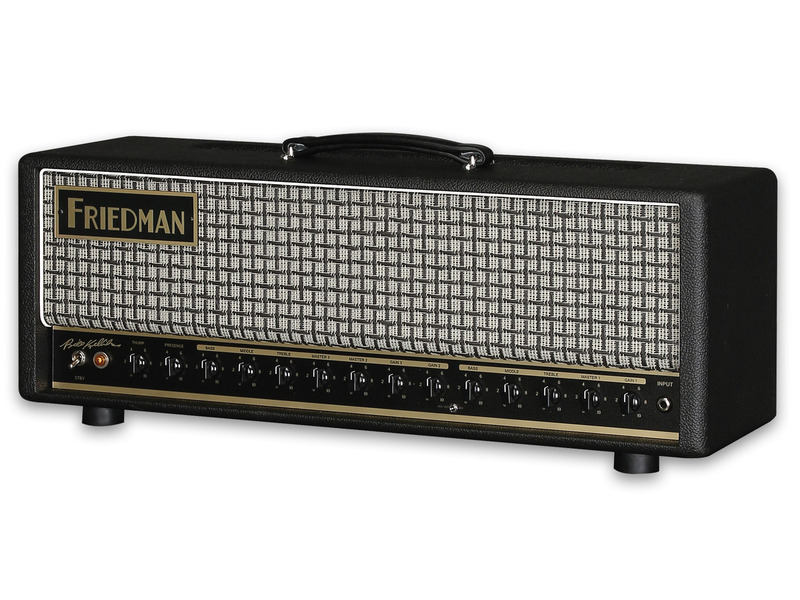 So if you’re looking for a clean amp to play, this is NOT your amp. But if you want an tone machine that measures on the Richter Scale, plug into the Butterslax and enjoy the ride. The Butterslax is hand-wired in the U.S.A. using hand selected components. 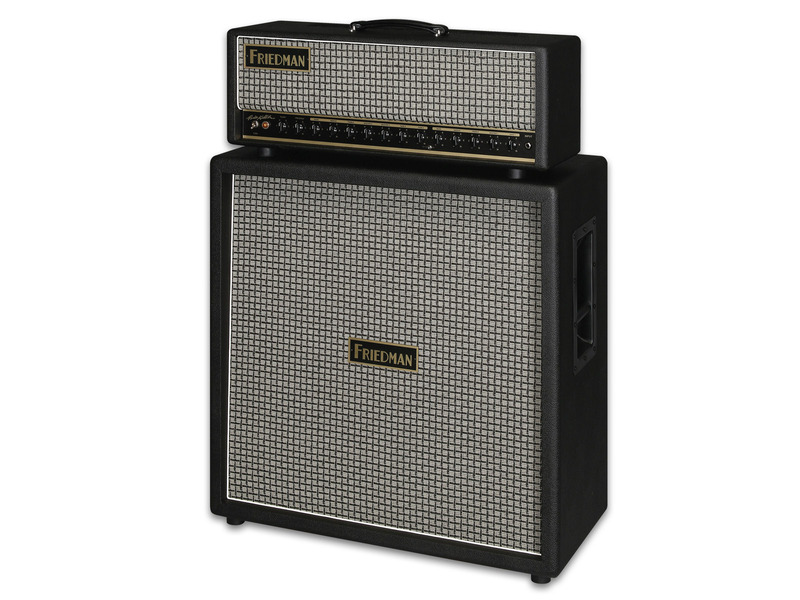 You can buy this amp with confidence because Friedman Amps are designed and built to last a lifetime. We guarantee it!